Android's fragmentation and Chrome's desktop focused limitation has forced Google to come up with an alternative. Instead of fixing existing problems, they decided to create another OS to solve the issues from previously released operating systems. With Fuchsia, Google has now decided to handle all of these issues from the ground up. So Google has first decided to release the OS under BSD license instead of GPL. They are also designing their own kernel. They also choose to develop their own graphics renderer code-named "Escher". As you can see, Google is all set to design their own new flavor of the embedded operating system. Let's take a look at some of its features. Fuchsia is not ready yet. It has plenty of things to setup before it can be shipped for a final release. Currently the OS boots into a welcome screen that can be connected with Google account. You can swipe or use a passcode to bypass the lock. From here everything is in beta. You will find that it shows your image and name on the front screen. You can see battery and clock on the screen. You can swipe the settings from the top like Android. Though settings are not yet added, you can still adjust the volume and screen brightness. You have empty story cards floating all across the screen. You can tap the screen and access the cards at the same time. 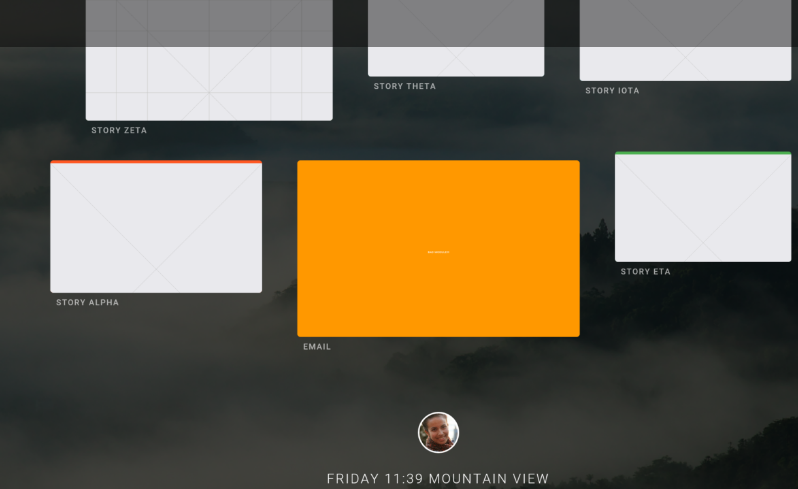 This reactive interface gives you tablet mode in a much better way compared to Android. You'll find that Gnome Linux interface to be on the similar line of usage. You can find that almost every screen has the cards features. So basically they act like some placeholder where your apps can run. Currently, no developer explanation is available for those units. But from leaked releases, you can find that they hold system-specific apps and the user apps. So it's Fuchsia's way of handling the apps on the screen. 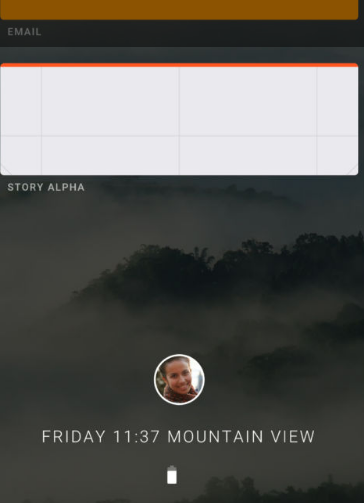 Google developers are viewing the screen in terms of story card modules. This can be interesting on how they wish to manage system resources. In past Google invested time and money for coming up with exclusive UI on top of Linux. That's why Chrome and Android have it's own UI settings and features. In the case of Fuchsia, they are doing the same. They are reinvesting a lot on the UI. You can see that it is written on top of the flutter SDK. This SDK is cross-platform and works on Android, iOS and other Linux based OS. So this new UI is likely to have Apps that can be easily ported to other platforms. And it'd be easier to even keep the Fuchsia on Android based phones. So this type of flexibility is possible with the flutter SDK. Also, the developers making apps for this UI would require fewer efforts to port their apps across platforms. Android has Linux kernel and so does Chrome. But that way these two operating systems rely on Linux community for security patches. This was something Google wanted to handle on their own. So they decided to come up with their own kernel. And they wrote one from scratch. They even renamed their kernel with another flower name - "Magenta". So far there are no industry reviews for this kernel. So nothing can be said about its performance, security and other features. Considering the kernel is meant to support embedded devices, it won't get much criticism like other mainstream kernels. One good thing about this kernel is that like their Fuchsia OS, the kernel is going to be open source too. It's too early to comment on kernel unless there is benchmark test done with a comparison to another kernel of similar feature sets. Android suffers from this problem. And many devices being released even in 2017, make use of Android Marshmallow as it's core. So this can be bad in terms of performance. However, there are no official guidelines, on how Fuchsia wishes to tackle this issue. If the hardware supporting fuchsia is going to be processor dependent like Android, then fragmentation issue stays. And Fuchsia fails to implement any new solution on the table. So fuchsia needs to have concrete plan to roll out the updates independent of the device vendors. If that part gets implemented then it reduces any issues that device may have due to lack of updates. It's a long road ahead for Fuchsia OS. There are plenty of features to add and hardware to support. In order to work with other platforms like Android and Chrome, they have to adopt Flutter SDK. It's yet to be clear how they wish to tackle the update and fragmentation problem. Though performance improvement is there due to DART language behind, it's too early say anything about future of Fuchsia. In future, you may find Google showing the final release of Fuchsia OS in their yearly Google I/O events.